As a leader and innovator in advanced pipeline assessment, RedZone Robotics pioneered inspection for wastewater collection systems. The industry demanded robotic platforms providing highly advanced data to analyze aging infrastructure, and RedZone met this challenge with multi-sensor inspection technology, known as MSI. MSI uses synchronized digital CCTV, laser profiling, and sonar to provide a complete profile of critical pipes. Responder, and Profiler suite, RedZone’s mid and large diameter inspection platforms, are ideal for both the size and the demanding conditions associated with larger pipes. The results obtained from MSI offerings have enabled wastewater managers and engineers to obtain a truer picture of their system, and thereby make significantly better decisions about the maintenance of critical, main pipes. The Solo platform is an autonomous robot that provides a highly efficient, cost effective, and versatile way to inspect the abundant quantity of 200mm-300mm/8"-12" pipes that are part of all collection systems. Solo is compact, lightweight, and easily deployed in any location accessible by a technician, allowing you to access manholes that a traditional truck-based CCTV platform can not. All collected data is processed in accordance with NASSCO, PACP, MACP, and LACP Standards. RedZone’s web-based, PACP certified ICOM, Sewer Asset Management program gathers past and present collection system information to create a centralized GIS centric database, enabling decision support to budget, plan, and provide work order management. This translates to more cost efficient and effective capital improvement projects, more tightly integrated inspection viewing, and improved prioritization of repairs and maintenance. RedZone’s advanced pipeline assessment technology provides organizations with the knowledge and decision-making capabilities to successfully and proactively manage a collection system. As both a manufacturer and service provider, RedZone Robotics can create a custom program solution for any collection system. RedZone offers flexible purchase, lease, and service options that allow municipalities, authorities, and engineering firms to plan standard or unique programs that match their systems and their budgets. 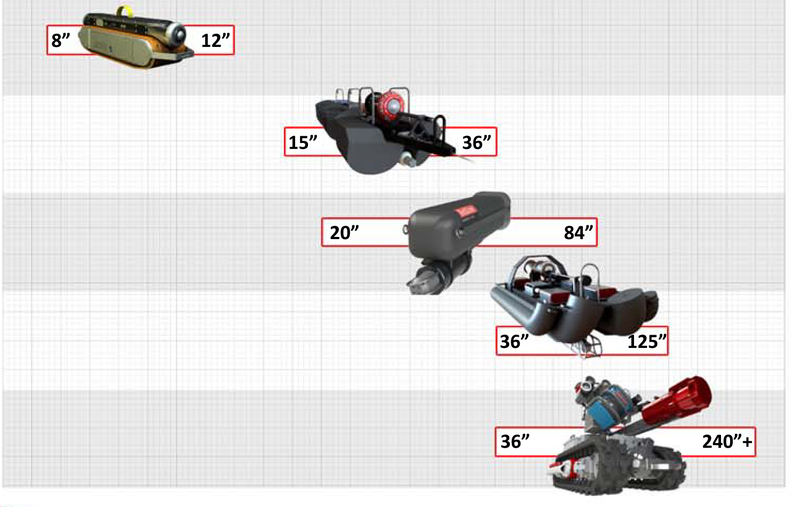 To initiate a project, simply provide RedZone Robotics with the scope, size, and time frame. RedZone’s system wide inspection of Peachtree City’s 850,000 If of pipe sizes 6" through 36", 4,200 manhole, and lnclusion of 95,000 If of past data. All Information was centralized to ICOM, Sewer Asset Management System. A condition assessment was performed on City of Fort Worth Interceptors utilizing MSI to specifically determine the next phase of rehabilitation. YES, Your Entire System program - A complete system wide assessment of the collection system utilizing all equipment and providing multiple payment options. ICOM, Sewer Asset Management integrated with each program offering.